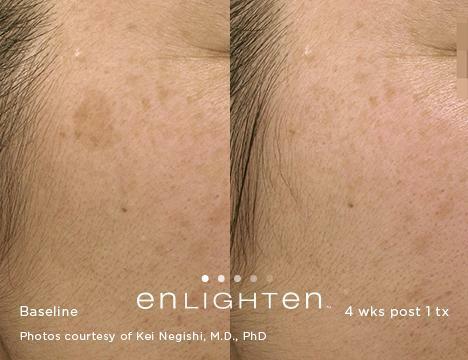 Reveal your natural beauty with a quick and convenient skin rejuvination laser procedure that can deliver visible results, even after just one treatment. Treatments are comfortable, last only 20 minutes, and require virtually no downtime. Consult with Dr. Hal Brown to find out if PICO Genesis is right for you. 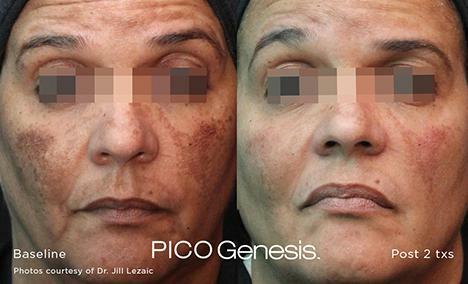 PICO Genesis is a non-thermal, 2-in-1 laser procedure for skin rejuvination that’s quick and convenient that results in a brighter, more radiant and uniform skin tone. 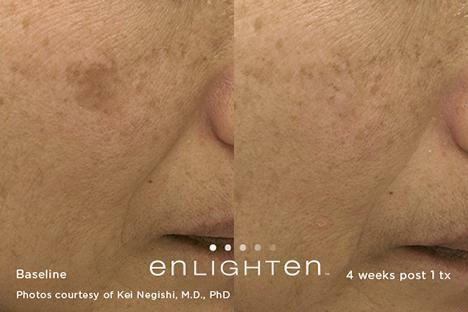 This revolutionary procedure delivers a shockwave effect that not only selectively shatters unwanted pigment, but also remodels the deeper layer of the skin. 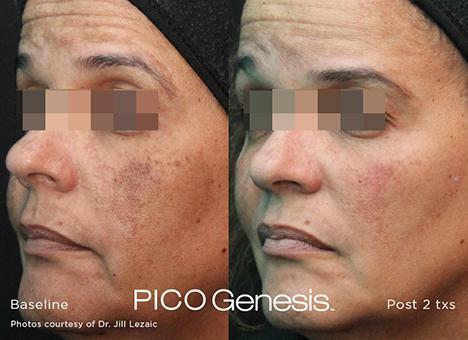 The PICO Genesis laser delivers laser pulses every one trillionth of a second to clear your skin. Compare that to previous generation lasers, which deliver a pulse every one thousandth of a second. Nearly 40% of the total population in the United States suffers from some kind of pigmentary concern or condition, and more than 70% of sufferers are seeking treatment in the form of tone and texture improvement. 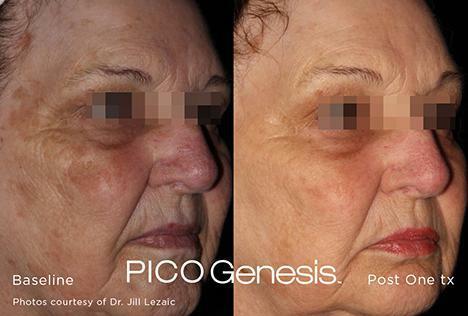 Previously, as many as 10 to 15 treatment sessions were needed to achieve satisfactory results, but with the PICO Genesis laser, you’ll see results in drastically fewer sessions. Because pigment particles are so small and dense, they can be very difficult to remove. They’re very susceptible to heat, which has made previous lasers a risky treatment method. The PICO Genesis laser utilizes higher peak power with a non-thermal laser that won’t cause any thermal damage to the surrounding tissue. It shatters the pigment, leaving your skin more clear, and giving you a more uniform complexion. Consultation and procedures are provided by Dr. Brown.